Chinese drone manufacturer Yuneec has quietly released a new model to the consumer market: the Mantis Q. 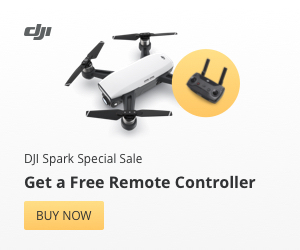 After taking a look through the specs, the first impression is that this little drone is targeting the same niche as the Mavic Air and Parrot Anafi: drone newcomers and pilots keen to shoot in 4K on the go. That’s why Yuneec’s latest drone follows in the footsteps of the Breeze 4K rather than the Typhoon H. It’s designed to be both small and powerful, has a few features that might be closer to gimmick than cutting edge, but does boast an impressive flight time of 33 minutes. There are a couple of interesting features promised by the Mantis Q that are hard to judge until they’ve been tested. These are Voice Control, which lets users issue commands by speaking – take a photo, begin recording, wake up – that kind of thing. It’s hard to say where this would actually be useful instead of just being a nice touch. Yuneec offer the example of giving the voice command to start recording instead of manually taking the hands off the controls. Mantis Q responds to commands such as “Wake up” for powering on, “Take a picture”, “Record a video” and “Take a selfie.” It will also respond to the flight commands such as “Take off” to automatically start flying and then come up to a hover or auto-landing commands such as “Return home”. Aside from listening to the pilot, the Mantis Q comes with facial detection and gesture control. A simple smile activates face detection and as soon as the Mantis Q “sees” the user’s face, it will take a photo from up to 13 feet away. In Gesture Control mode, Mantis Q will detect a hand waving and it will take a photo. Again, it’s hard to say how useful these features are (and how much they will actually be used) until we get our hands on a review model. The Mantis Q records images with a resolution of 4800×2700 (16:9) or 4160×3120 (4:3) in JPEG or DNG format on the included MicroSD card. The camera also shoots 4K videos In up to Full HD (1920×1080). The Mantis Q camera doesn’t sit on a stabilized gimbal. Instead, images rely on often fallible electronic stabilization. The camera can be tilted upwards by up to 20 degrees or downwards by 90 degrees during flight. The new Yuneec drone also comes with automatic flight modes including Journey, Point of Interest and Orbit Me. Yuneec will be betting on the statement 33 minute flight time and sleek foldable design to bolster sales of the Mantis Q. And those two features alone will make this drone an enticing proposition for travelers and adventure photographers. In terms of speed, the Mantis Q can hit 44 miles per hour in Sport Mode. It’s also got downward sonar sensors to help with smooth indoor flight. 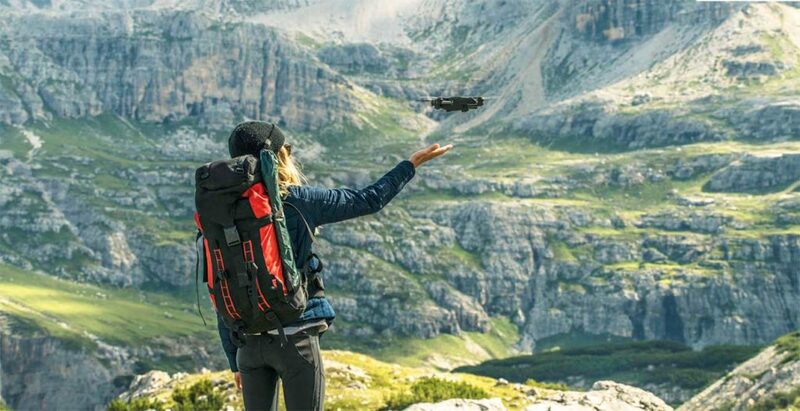 “The Mantis Q was developed to offer cutting-edge, advanced drone features such as voice control and facial detection in an easy-to-use, ultra-portable package,” said Michael Jiang, CEO of Yuneec International. That’s the marketing waffle. But in reality the Mantis Q already looks significantly behind the Mavic Air, despite it’s impressive flight time. Again, as we saw with the Parrot Anafi, a lack of obstacle avoidance and collision prevention systems look set to hold back Yuneec’s latest drone.